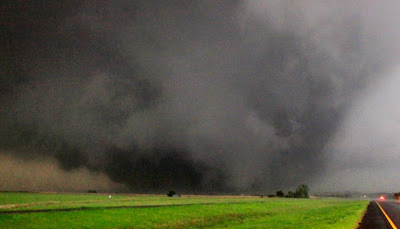 Texas Online Radio: Oklahoma tornado devastation; Search and rescue underway. Oklahoma tornado devastation; Search and rescue underway. Once again, mother nature takes aim at the Midwest. At the present time, storms are brewing once again. We put out thoughts and prayers for the second time this week for the people affected and those trying to help and assist. Here are links to the stories. Tornado kills two near Oklahoma City. 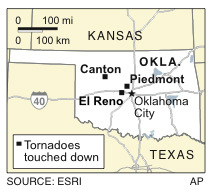 More deaths in Oklahoma tornadoes.